Marathon men Paul Casey of England and the player he regards as his nemesis, Thailand’s Poom Saksansin, shared the second round clubhouse lead in the weather-interrupted SMBC Singapore Open on Friday. 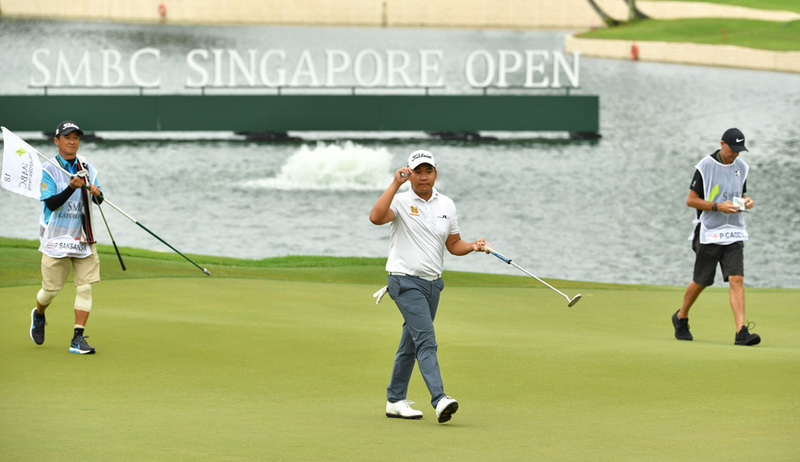 World number 24 Casey and Poom played 25 holes on Friday as they finished off their first rounds and completed their second rounds at Sentosa Golf Club. Casey snared three birdies on Friday morning to shoot an opening 68 and followed up with a four under 67, which was blighted by a bogey on his last hole (the ninth), in the afternoon. 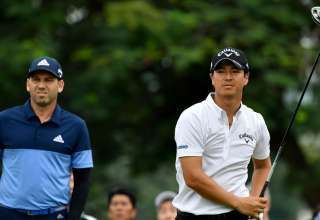 Poom’s sparkling 65, that included three birdies in a row to finish, saw him jointly lead with Japan’s Taihei Sato after the first round and he recorded a one under 70 in the afternoon to join Casey on seven under 135, one ahead of Sato (71) and countryman Shotaro Wado (70). Defending champion Sergio Garcia of Spain was in the midst of an up and down round when darkness halted the second round on Friday. He mixed three birdies with two bogeys on the front nine to sit three under for the tournament. The second round will restart at 7.30am on Saturday morning. 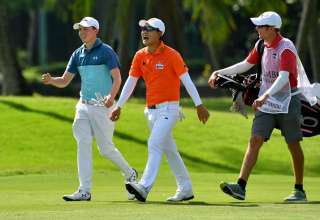 Poom, whose victory at the Indonesian Masters in December elevated him to 13th on the Asian Tour moneylist, beat Casey in the singles at last year’s EurAsia Cup clash and their healthy rivalry has continued at the SMBC Singapore Open where they played in the same group on Thursday and Friday. “It has been a long day but I am very happy. 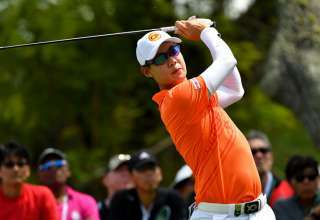 Although I only shot a one-under for my second round, I think it was a very nice round,” said Poom. He added that he had picked up shots on the back nine and that was the key to his scoring. “I’ve played the back nine quite well this week so far, so to play it well, finish it well this morning and to keep going (was good),” he said. “(The second round) was good. I mean, get the last out of the way that was disappointing (a bogey), the rest was really nice. 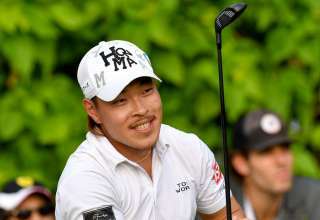 Sato, who graduated to the main Japan Tour after topping the moneylist on the secondary Abema TV Tour last season, pulled off the escape act of the tournament by recovering from a nightmare start to his second round to card a level par 71. He reached the turn in 40 after a double bogey and three bogeys but steadied the ship on the back nine where he picked up four shots. World Cup Golf Hall of Famer Davis Love III stayed on track to achieve his twin goals of contending for the title on Sunday and booking one of the four available places at The Open in July by shooting a three under 68 for a five under total, two strokes adrift of the leaders. 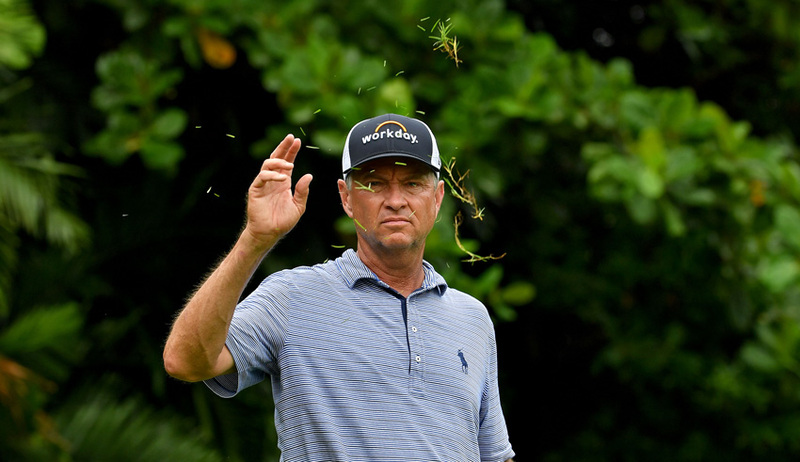 “(Overall) a little disappointed, I don’t know what day it is,” said the 54 year old American, who finished seventh in last week’s Sony Open in Hawaii. A Singapore Open would not be the same without Chapchai Nirat’s name being on the leaderboard and the burly Thai, who has led every round during previous Opens without sealing the deal, joined Love on five under after carding a one under 70. Also on five under are India’s S Chikkarangappa (66), last year’s joint runner up Shaun Norris of South Africa with a second round 68, and the Korean trio of Kim Sihwan (67), Dongkyu Jang (66) and Yikeun Chang (68). The US$1 million SMBC Singapore Open is the season-opening event on both the Asian Tour and the Japan Tour.